Disney’s closure of its Virtual Magic Kingdom is met with continued protests by players of the popular online game. In 2005, the free game was part of the 50th Anniversary celebration of the opening of Disneyland. The Virtual Magic Kingdom quickly attracted fans who have spent the past two and a half years accumulating points to get objects for their virtual rooms. While it does have adult fans, it is especially popular among children. When the game shut down, all elements of the Virtual Magic Kingdom disappeared. While Disney is claiming that the VMK was always intended to have a short run, it is believed that money is the main motivation behind the closure. Disney has two online game sites which are geared towards kids and require a monthly fee to participate. There’s Disney’s Toontown which is $9.95 a month and Club Penguin. 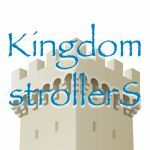 Since the announced end of the Virtual Magic Kingdom, blogs and websites have been created to garner support for the continuation of the game. One site has collected 20,000 signatures. One young player from CT commented they/ve been playing for almost two years, and have made really good friends and had really good times. I was really sad and really mad when I found out they were closing VMK.